Set to open in 2021, W Rome will be developed by Omnam Group and funded by Kryalos SGR, a real estate firm who currently manage 17 funds and 218 properties. Spanning two adjacent 19th century properties in the Via Veneto neighbourhood, with structures renovated and re-imagined to refresh the historic elements, the development will feature 159 guestrooms and suites, two restaurants, 120m2 of event space, a workout facility and spa, and a signature destination bar that encompasses the brand’s approach to cocktail culture. Additional features include the W Living Room, the brand’s spin on the hotel lobby, and unlimited access to the Whatever Whenever service, the hotel’s 24-hour concierge. Carlton Ervin, Chief Development Officer, Europe, Marriott International, comments: “This latest signing shows that even in mature markets like Rome, W Hotels is fortunate to collaborate with visionary developers such as the Omnam Group who are equally passionate about creating an exciting and original hospitality experience. 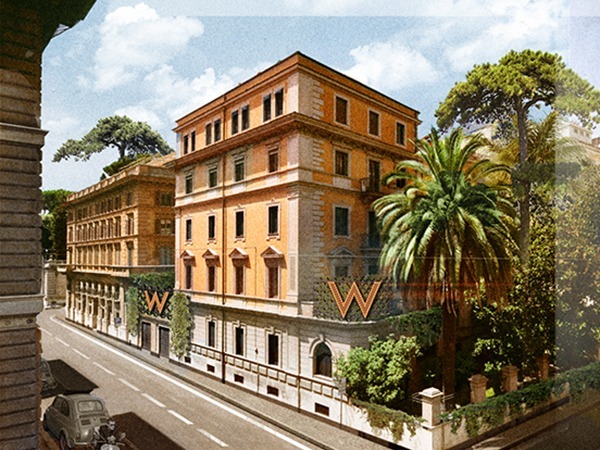 W Hotels operates seven hotels in Europe, and is on track to reach 75 properties by 2020, with arrivals set for Tel Aviv, Madrid and Prague. The hotel chain will also open in Belgrade, Budapest and Portugal’s Algarve coast, before debuting in Marbella and Edinburgh in 2021.